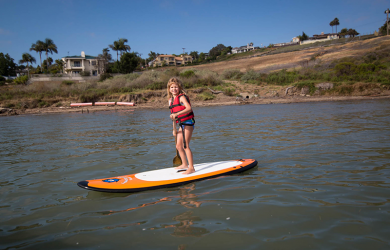 Carlsbad Lagoon is a paradise for those looking to take up water sport activities! 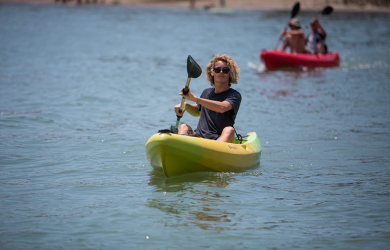 Whether you choose to kick back and picnic on the peddle boats, or cool off on the kayaks, Carlsbad Lagoon is a great way to spend the day! 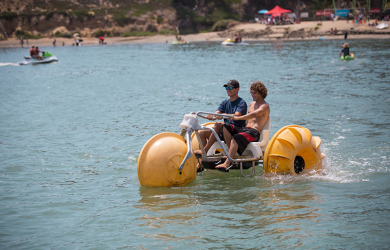 If you are ready to try something new, hop aboard the aqua cycles and take biking to a whole new level! Or get your paddle on and rent a canoe or paddle board. The calm water of the lagoon is the perfect location for fun in the sun. 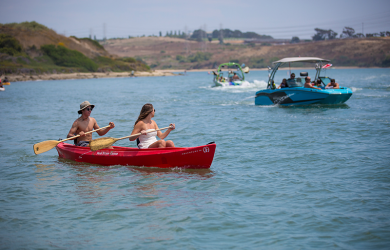 The beautiful scenery and astonishing atmosphere make Carlsbad Lagoon the opportune location to enjoy all that the watercrafts have to offer. So dive into this deal today! Come on, water you waiting for? Voucher is good for one piece of equipment for two consecutive hours. May NOT be split into two pieces of equipment for one hour each. No credit issued for unused time.